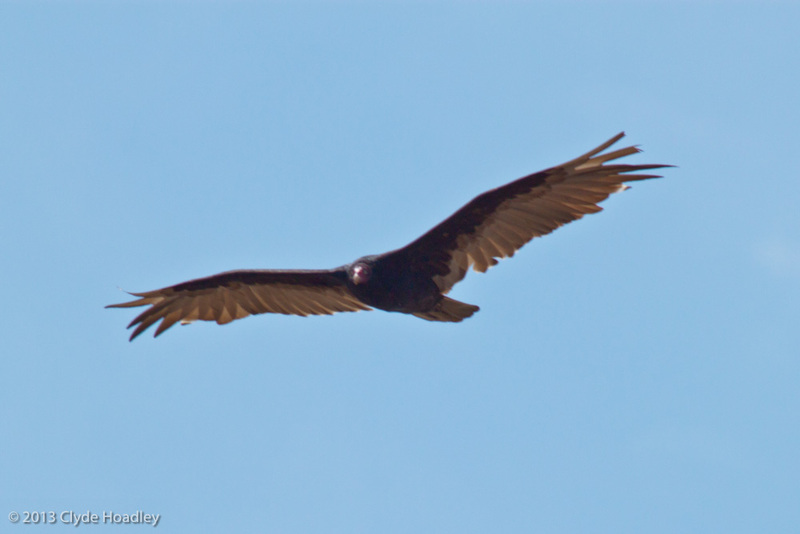 I've seen a large bird circling at Standley lake during the past week. I thought it might be a hawk. I got my big telephoto lens out this weekend, went to the lake and waited for the bird to appear. 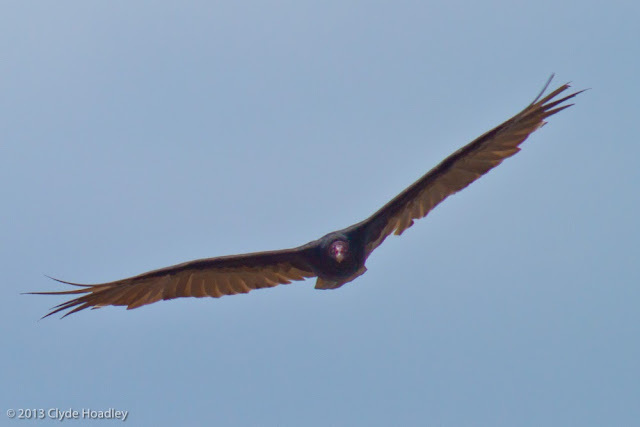 I didn't have to wait very long before the large black bird made its appearance and made slow lazy circles over head. I snapped several pictures with my 500mm lens. They all turned out reasonably well but are a little high contrast do to the bright sky. 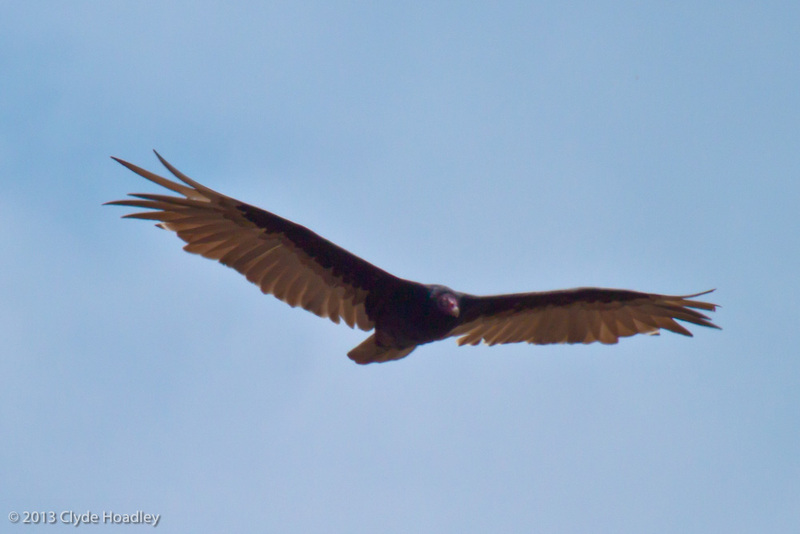 What I assumed was a hawk turned out to be a Turkey Vulture! 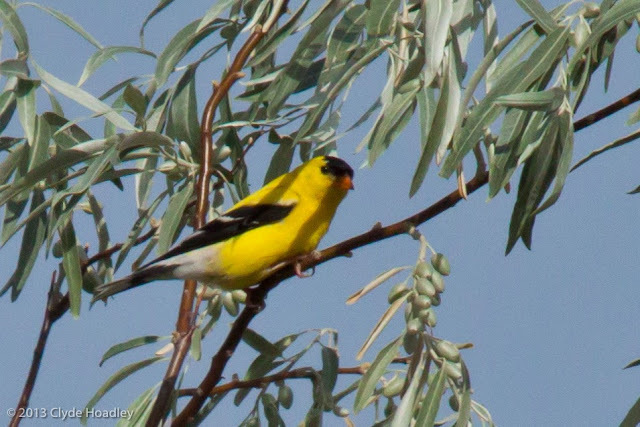 I was also able to get a good picture of an American Goldfinch. Prairie dogs are always ready to have their picture taken. 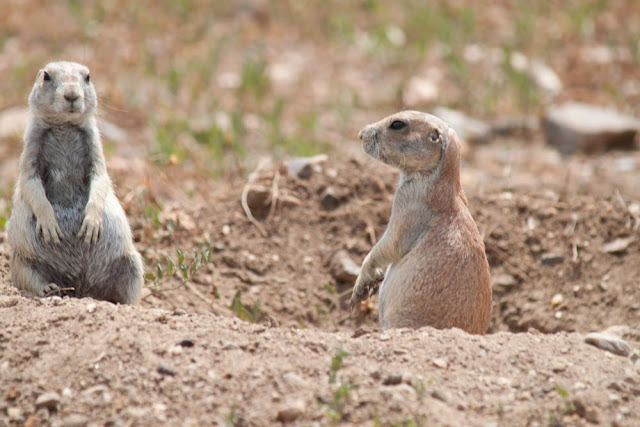 These are at Black Tail prairie dogs at Standley Lake Arvada. There is something unusual with their coloring. Some of them are grey/white/black and some of them have light grey head & front paws but the rest of the rodent is the normal reddish brown. I was curious about this so asked a biologist about it; here is his reply. This appears to be an expression of albinism. Sometimes within small or isolated populations there are limited numbers of available mates except for close kin, promoting inbreeding which reduces genetic diversity; along with genetic drift, inbred offspring can also be more susceptible to diseases, parasites, and environmental changes. These factors expose rare deleterious alleles (variations of the same gene) and increases the possibility of genetic anomalies such as birth defects and albinism (Hoogland 2006, Tate 1947). I've seen this in other urban areas and I suspect this can be instigated by industrial an or urban development (sprawl) which fractures natural habitats and isolates coteries, although I have not seen specific data regarding this yet.